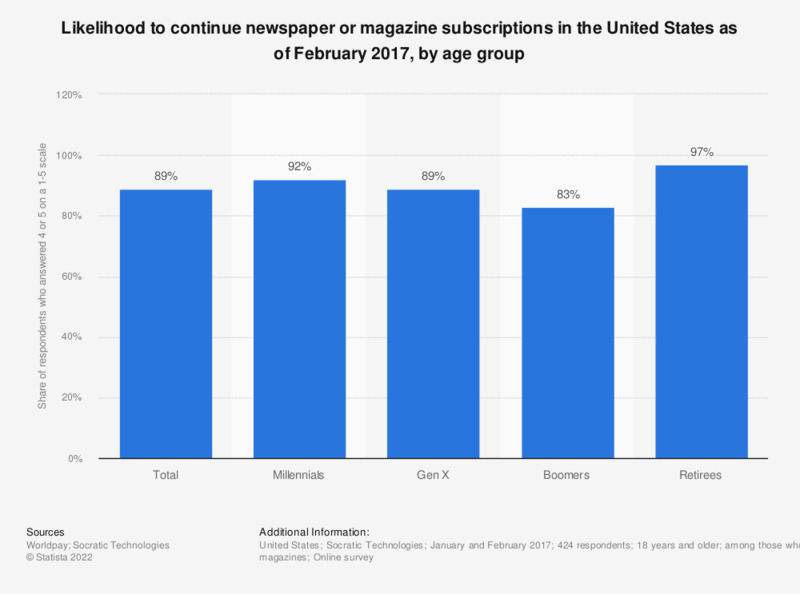 This statistic provides information on the likelihood of continuing newspaper or magazine subscriptions in the United States as of February 2017, sorted by age group. According to the source, 92 percent of Millennials who subscribed to newspaper or magazine subscriptions were likely to continue their subscription as of February 2017. This question was phrased by the source as follows: "How likely are you to continue subscribing to each of the following in 2017?"